Does your organization have a Growth Mindset Culture? Fill out this form to download NLI's Idea Report, "Growth Mindset Culture"
The NeuroLeadership Institute has performed extensive research showing that growth mindset means many different things to many different companies. Some view growth mindset as their ticket for digital transformation. Others use it to remake their talent processes. 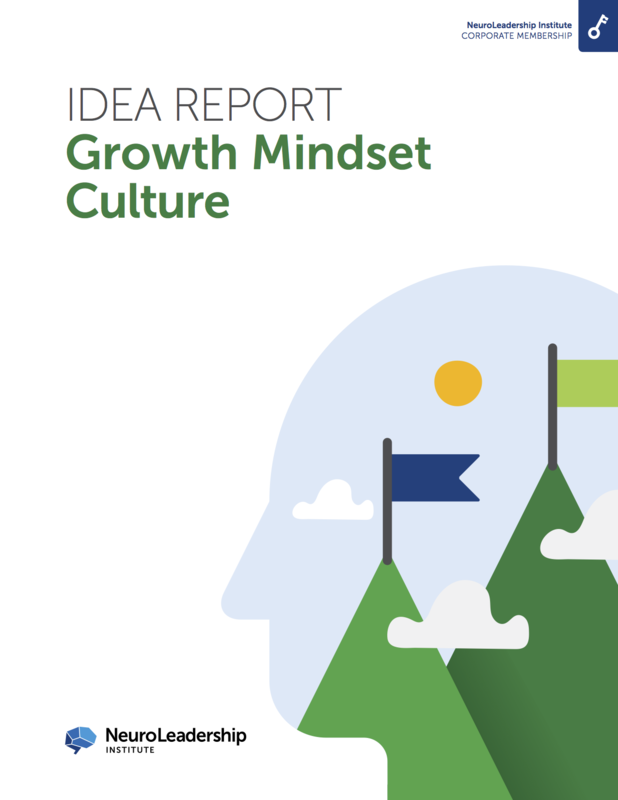 In NLI’s new Idea Report, “Growth Mindset Culture,” we present and analyze data from 20 organizations around the world using growth mindset in various forms. The Report offers compelling insights into how billion-dollar giants think about the future; includes a Q&A with growth mindset’s originator, psychologist Carol Dweck; features thought-provoking case studies; and presents research-backed advice for leaders looking to implement a growth mindset in their own teams. Growth mindset has existed in academia for decades. For the first time ever, NLI’s Idea Report shows how organizations are making Growth Mindset Culture come alive.